This candle looks and smells just like hot cocoa. Use a cute mug to complete the look. Melt desired amount of wax in the double boiler to 180-190 degrees. You want to almost fill the mug. Add fragrance and brown color dye. Once wax has melted, remove wax from heat. Pour the melted wax into the coffee mug. Allow to cool and harden. In an old pot melt a small amount of wax in the double boiler to 180-190 degrees. Blend the wax with a mixer on high for 5-10 minutes creating the froth for the top of the cocoa candle. When it is thick and resembles meringue, use a fork to apply the whipped wax to the top of the cocoa candle. 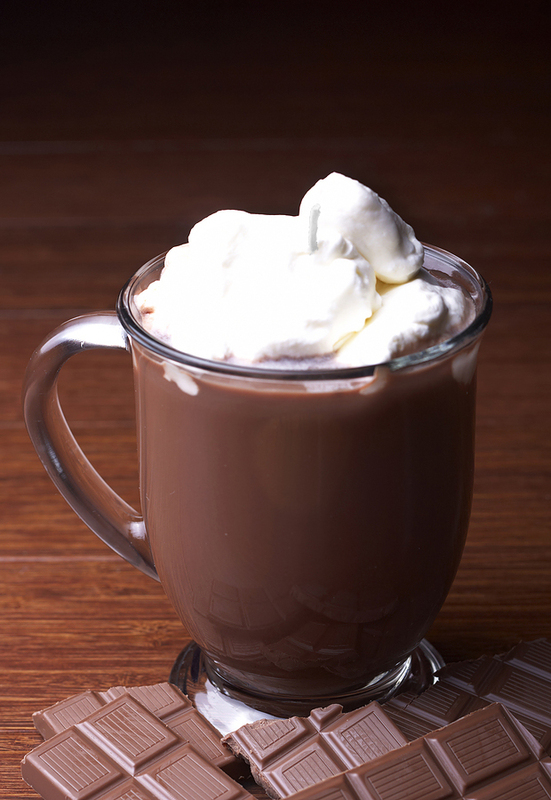 Fluff the wax with the fork and model it to look like the whipped cream on real hot chocolate. Allow the wax to cool and harden. Trim the wick and enjoy.